from within the Chinese community. What’s wrong with this picture? Isn’t it time we woke up and smelled the dim sum? into the vibrant Chinese food scene in Richmond. time. "It’s uncommon to see another table of Caucasians," Mathews says. can. The quality is 10 times better [than the popular western chains]." China is about fresh seafood, not about great cuts of pork and beef." their food at a good price." praises of bright, fresh, flavours. about. They want fresh, and alive, if possible. Seasonality is central." with freshness and quality and focus on seafood. 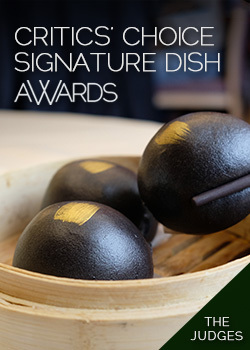 Awards judge, says Cantonese cooking is about being unobtrusive. per month when it’s in season) and geoduck. with meals anymore. They’ll have a starch but not rice." the executive chef will be there to hide what he does." soy sauce and keeps doctoring it to make it better." Another chef (at Sea Harbour restaurant) works with squab farmers in the Fraser Valley to grow poultry to his specification. menus and dumplings. But there are more sophisticated ones like Dinesty. courts at the various Richmond Malls. not the houses or weather." and heavy competition creates the perfect storm." increase in business and a big chunk is from the Caucasian community,"
you’ll find Kirin Seafood and Shanghai River near the Brighouse stop.